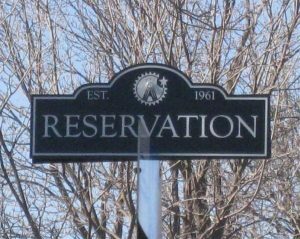 The Reservation is a residential neighborhood located on the west side of Richardson, TX in the 75080 zip code. This neighborhood was established in 1961 and it has street names like Comanche, Cherokee, Pawnee, Seminole and Navaho Trail which led to its nickname. It’s situated between N Waterview Drive and N Coit Road which run north and south and Melrose and Arapaho which run east and west and is within walking distance to Mohawk elementary. The neighborhood includes a park called Mimosa Park which has a baseball field and two tennis courts right in the middle of the neighborhood. The Reservation currently has a voluntary home owners association. The neighborhood is served by the (RISD) Richardson Independent School District. You can find more information about the HOA, schools and neighborhood with the links below. Please feel free to contacts us if you have any questions about the homes in the Reservation .